Newborns spend a lot of time sleeping. When it comes to where they sleep, there are so many options. 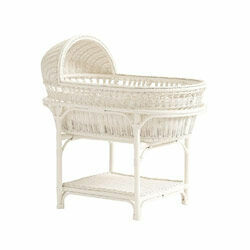 Bassinets, cradles, baskets or boxes – it’s hard to know which one is right for your family. There’s a lot to think about. Will bub be in your room and is there space? Will you be moving bub from room to room? 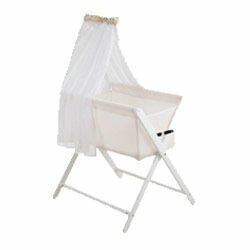 Looking further ahead, are you planning on using the same bassinet for future children? 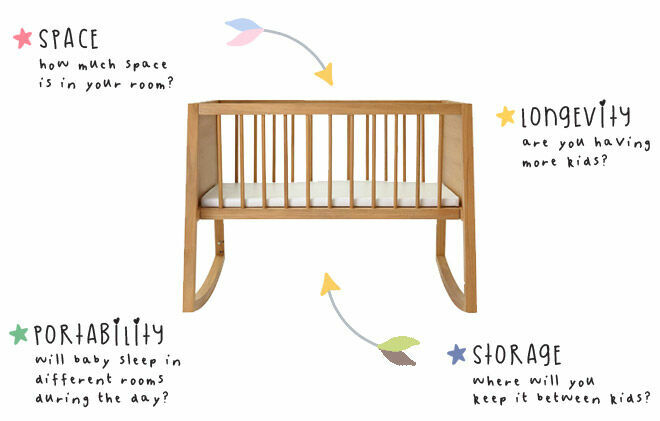 Where and how will you store the bassinet in between children? To help you shop with confidence, we’ve made a list of key points you need to consider before purchasing your infant sleeper. And don’t forget to print out our handy Bassinet Chooser Checklist before you hit the baby stores! 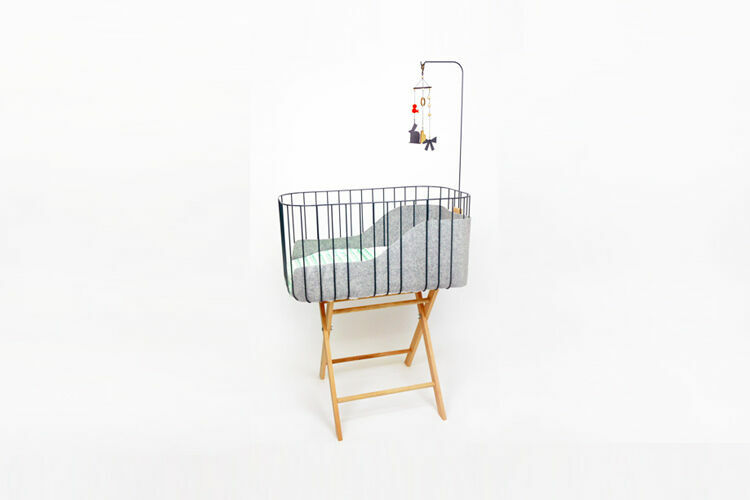 Bassinet alternatives: It is not essential to use a bassinet – bubba can go straight into a cot, with or without a sleep pod, or you can use a port-a-cot. Even a baby box based on the Finnish tradition will do for the first few months. 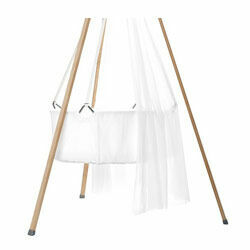 Bassinet accessories: Mattress, stand, linen, cradle hooks, canopy. Can you buy secondhand: Yes. If you are buying secondhand, borrowing or hiring a bassinet or cradle, it is recommended you always buy a new mattress. 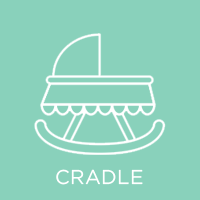 Cradles are infant sleepers that generally rock, glide or swings. 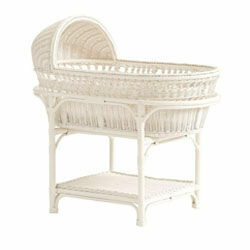 Bassinets are infant sleepers with fixed legs or castors. 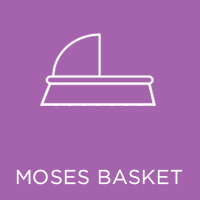 Moses baskets are infant sleepers that are placed directly on the floor or furniture. 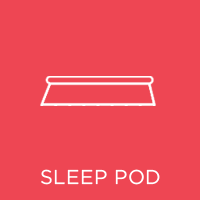 Sleep pods are infant mattresses with high sides, creating a narrow sleep area. Co-sleepers are infant sleepers that attach to the side of an adult bed. 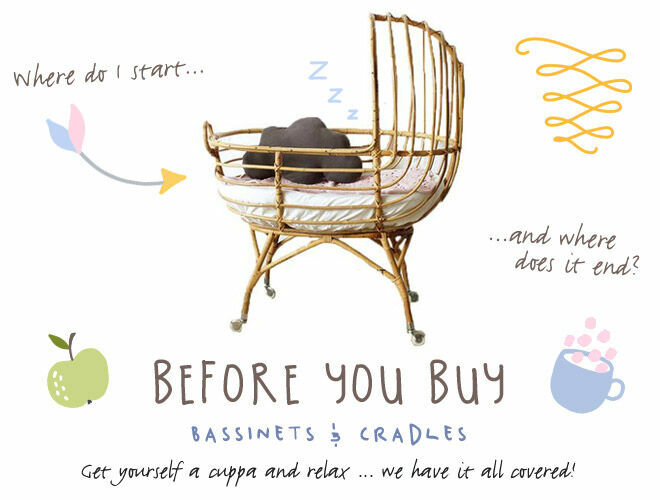 Now you know your bassinet from your basket, it’s time to choose which one is right for you. Consider these factors to help you figure out the best sleep solution for your family. 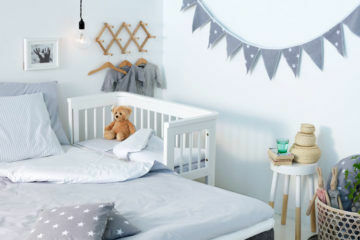 Most new parents sleep with their babies in their bedroom and the space you have available in your room may determine the style of bassinet you get. 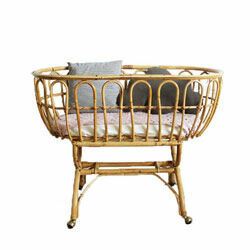 Where in your bedroom will you place the bassinet? Next to the bed – if you’ve got the space, keeping bub next to you in bed (either in a bassinet or co-sleeper) is super handy for settling and feeding during the night. Just make sure you can still open bedside draws and any cupboards close by without knocking the bassinet – you don’t want to wake a sleeping baby. 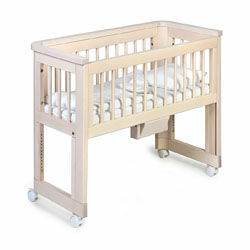 You can also get bassinets with adjustable heights to match your mattress height. At the end of the bed – if you’re keeping the bassinet at the end of your bed, just make sure there’s still plenty of room to walk around the bassinet and it’s not touching the bed as, again, you don’t want to knock it and wake the baby. In front of the cupboard or doorway – if the only space available is in front of a cupboard or doorway, a bassinet on wheels will allow you to still get access to the cupboard or door without disturbing the baby too much. Under the window – it’s not recommended to place a bassinet under a window because direct sunlight and drafts affect bub’s temperature. Also keep an eye out for the heating and cooling vents. 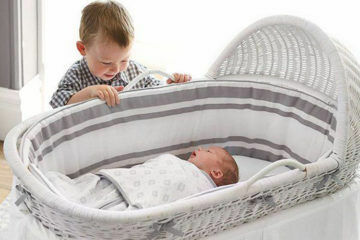 The great benefit of having a bassinet or cradle is its portability – handy if you’d like to keep bub close during day naps or to give them their own space at night if they’re waking up older siblings. Will you be moving the bassinet? 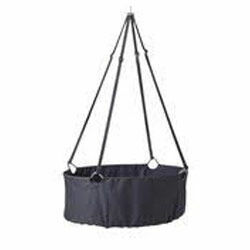 Bassinets designed to remain stationary are heavier and harder to move. 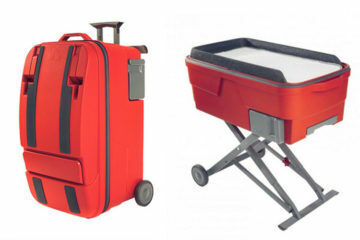 Bassinets on castors can be moved from room to room. Larger castors will be easier to move on carpet and smaller castors could be noisier on floorboards. 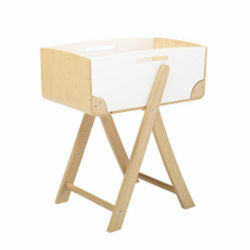 Bassinets with a removable stand can be easily folded and carried downstairs. TOP TIP: Measure the space between your doorways to make sure the bassinet fits through once assembled. Choosing wisely could mean you only have to buy one bassinet, and it could become the first sleep nest for your future children or become a new family heirloom. Will you be having more children? If you’re starting your family and planning on having more children, investing in a well-made bassinet that stores well should see you through most of your children. Purchase a well-known brand as they are more likely to keep stocking accessories and replacement parts for years to come. Choosing a gender neutral colour will help it last future kids. If you’re not planning on any more children, you could save yourself some money and consider borrowing or hiring a bassinet. Or use an alternative like a port-a-cot, or go straight into the cot. Will other friends and family members be having children in the future? You’ll only be using a bassinet for the first three to six months so you could share the initial cost and pass the bassinet around family and friends. 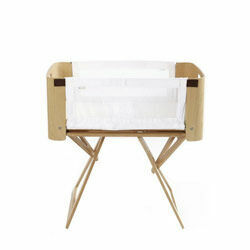 Want to keep your beautiful bassinet for your next baby? You’ll need to think about where you will store it between children: under a bed, on top of a wardrobe, the attic or in the garage. Does the bassinet flat pack? TOP TIP: Keep the box the bassinet came in for storage later. Bassinets that can be removed from the base are easier to store. 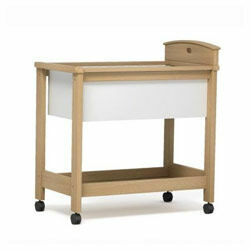 If the bassinet or cradle basket is collapsible, you’ll have more storage options. Where will you store it between babies? Check if the bassinet comes with a storage bag to keep dust off. Having garage or attic space means a larger bassinet or cradle is a possibility. 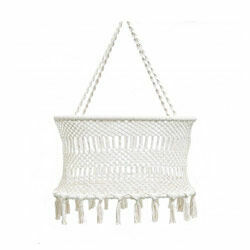 If you’re short on storage space, consider a macrame bassinet that collapses flat, or consider a bassinet that does double duty and transforms into a cot, table or desk. 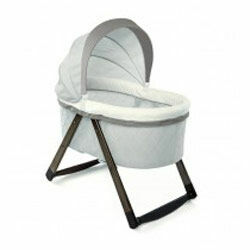 While most bassinets are a standard size and shape, there are many options available that have unique shapes, smaller or larger. Do you mind paying more for accessories? Non-standard bassinet shapes will require special mattresses and linen. Non-standard bassinet accessories are often harder to find are more expensive. How big is your nursery or bedroom? Rectangular bassinets are easier to fit into tight spaces or small bedrooms. Round bassinets and cradles on tripods need more space. 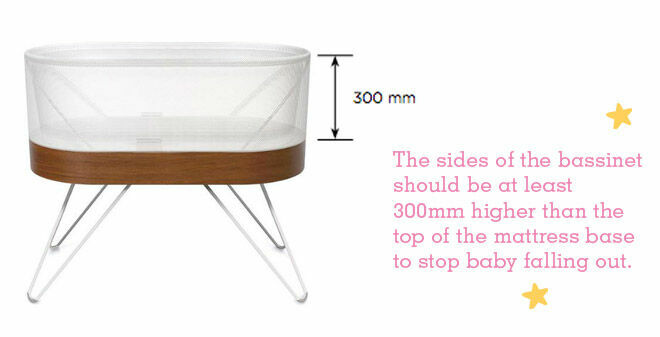 In Australia, there is no safety standard for bassinets or bedside sleepers, so it’s important that you know what safety features to look for when buying a bassinet. Depth – the vertical distance from the top of the mattress and top edge of the bassinet should be at least 300mm. Don’t forget to take a tape measure when bassinet shopping. Breathable zones – there should be a breathable zone on all four sides of the bassinet. 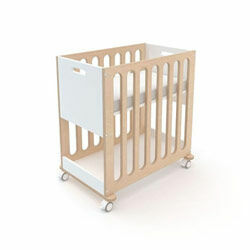 Gap – the bassinet mattress should have no gaps between its edge and the bassinet. Traps – there should be nowhere a finger, limb or head could get stuck. Wheels – if present, at least two wheels should be lockable. Legs – if legs fold, they should be locked when in use. 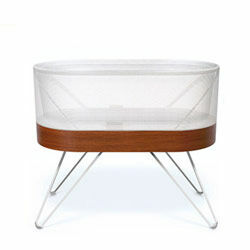 These days a bassinet isn’t just a bassinet, some come with extra bells and whistles to make nap time a dream. They’re the extras that you don’t need, but we’re pretty sure you’ll want! 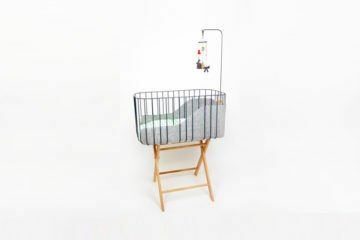 Rocking – some bassinets have the option to modify the stand so it can be manually rocked back and forth – great if you don’t have time to go out for a stroll. Motorised soothing – there’s a new high-tech bassinet that has the ability to respond to baby’s cry and gently start rocking automatically. Very cool. Mobiles – sound or movement mobiles that attach to the side of the bassinet. Canopies – not only look dreamy, they keep insects away. Just make sure it’s well away from hands so they can’t be pulled down. Tripods – some bassinets and cradles can be connected to the ceiling, others on a tripod so they can be moved around the house. 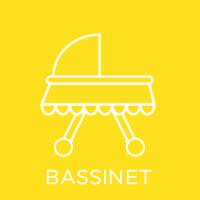 In the market for a bassinet or cradle? Join the closed Mum’s Grapevine due date and baby groups on Facebook and ask other mums what they love about their bassinet or cradle.